Since 2011, the people at Blog Expat have been shining a little light on expatland by interviewing bloggers from city to steppe, temperate to tropical. They’ve assembled quite an archive over the years. So when I heard they were to publish an anthology of their best stories, I thought it was a good idea. And when I heard they were to include me among the chosen, I thought it was a great idea. 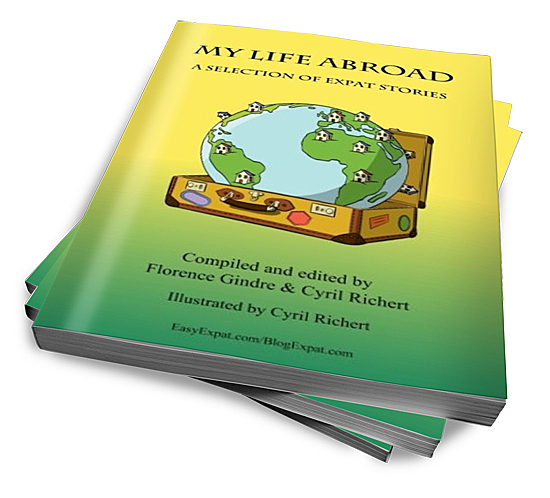 My Life Abroad, a Selection of Expat Stories was published in September 2016. All the participants received a complimentary copy of the book which was a generous touch. Mine dropped on the mat a few weeks back and naturally I gave it a good thumbing. No one could question the book’s scale and ambition. 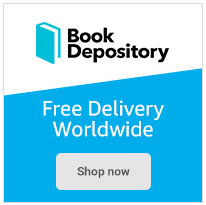 There are abridged versions of 55 interviews and all continents apart from Antarctica are represented. Oddly, though, the contributors are kept anonymous, presumably to protect the guilty. Some people show breath-taking ignorance of the Islamic world, tarring all Muslim countries with the same negative brush. No, we aren’t subject to Sharia Law. No, gay people aren’t routinely lynched by rabid mobs of mad mullahs. No, women aren’t forced into marriage as soon as they hit puberty and dressed head to toe in black poly-cotton sheets (well, not in Bodrum anyway). Turkey isn’t perfect but it isn’t Iran. So I’m hoping the cartoon is intended to be ironic. Despite the potential faux pas, many of the stories are fun, thoughtful and well worth buying a bookmark for. Congratulations. Free press. Lovely. If you’re in the book it must be worth a read. First of all, many thanks for talking about the book we have published. Indeed, as you spotted, we tried to find an anecdote, an image to illustrate each story. And the more awkward the better often 😀 . Indeed we have selected stories intending to be fun and informative in a way. All stories are written in first person, without any name to emphasize the implication of the reader, as if it was told to him personally, and to make it more lively. We reference however all stories at the end of the book for those interested to know more about a specific story. I hope a lot of people will enjoy the book. Sounds like the publishers need to actually read around what they are printing – I’d be a bit annoyed if my writing was placed under such a cartoon – anonymous or not.